Turrible… It’s hard to not just mail it in on game re-caps after the Pistons mailed it in last night against the Mavericks, in Dallas. The good news is that they came out of the halftime break showing some fight, with a 35 point outburst. The bad news though, and this won’t be reported as a “4th quarter collapse” since they were losing heading into the 4th quarter, but the Mavs proved to be too much for the Pistons in the 4th quarter as they pulled away with a 32 point quarter behind the leadership of Dirk Nowitzki and former Piston Jose Calderon. Greg Monroe scored 20 and fell short of a double-double by 1 rebound. Dirk is a tough matchup for most, and you could tell when Monroe matched up with him that he was out of his comfort zone. 116 points on 74 field goal attempts by the Mavs. 58% from the field and 23-28 from the line mean that they were aggressive and assertive on offense all night. 28 points in 3 of 4 quarters, and 32 in the 4th quarter for the Mavs. No one took leadership on the defensive side of the ball. Brandon Jennings had a good night on offense, but had half of the team’s turnovers with 6. Andre Drummond was in a tough spot all night, but at times it was so bad that he was pulled for Josh Harrellson because of blown assignments and poor matchups. Usually I hate to keep beating a dead horse but… Josh Smith is a chucker. 25 points on 24 shots is awful. At least he only had 2 3 point attempts. Rodney Stuckey and Kyle Singler were awful off the bench. 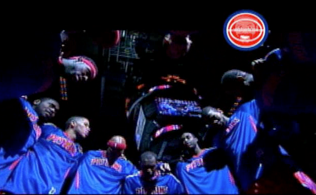 The Pistons have now lost 4 straight, and it’s hard to see an end to this streak in sight. On one night, they look like world beaters when they hand the Indiana Pacers their only home loss of the season and beat down the Miami Heat… but then on the next night they “done get blowed out” by teams like the Charlotte Bobcats, Utah Jazz, and other bottom feeders. As a fan, you try to see the good that the team has. Right now we know we have 2 cornerstone type players in Greg Monroe and Andre Drummond. We have an unknown quantity in Caldwell-Pope, and there is some upside in the future with Tony Mitchell. That’s it, folks. We knew who Brandon Jennings was before he came to this team, and he hasn’t changed (no matter how many ‘Bad Boys’ t-shirts he wore as a kid). We all let out a collective sigh when Josh Smith was signed because he has shown that he can’t (won’t?) adapt his game to a system. I was a Trey Burke fan at the draft, but I’ll give Kentavious Caldwell-Pope my support because he has shown some flashes. As Natalie said here, the sun’s not even shining on this dog’s a** nowadays. 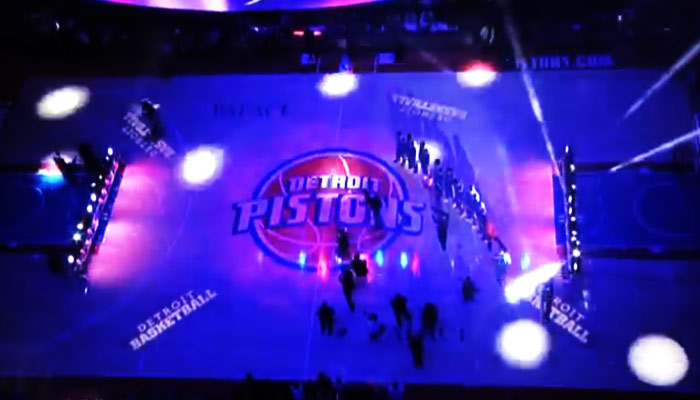 2 Responses to "Poor D leads to rout in Big D, for Pistons"
It kills me watching as a bleed Piston blue fan, from Brooklyn, NY, I can only imagine what my Detroit Fam feels like…Moves I’d like to see: this hurts but Joe must go. He is not pulling the trigger on deals that have to be made; trading Charlie V’s expiring, trade Moose for something of value to put Josh at the 4, if they are not going to give Moose big money, cut ties with Mo Cheeks and do the crazy but can’t be worse move of turning the team over to Sheed and Chauncey as coaches. 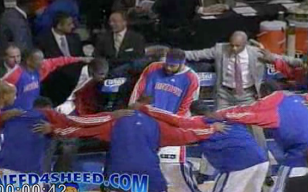 The team lacks passion and I truly believe Sheed at the helm would light fire under their asses. I don’t know how likely this seeing as Cheeks still has 2.5 years left on his contract, but I would like to Lionel Hollins coach the pistons. He made the grizzlies great and without him, they are not nearly as good.